Jumbo loans refer to mortgage loans in the United States that amount to more than the industry set definition for straight loan limits. Jumbo loans are available to borrowers that need to borrow more than $417,000. The Mortgage Network of Ohio Inc offers Cincinnati, as well as the rest of Ohio, Indiana and Kentucky this option. One way to quickly get Cincinnati jumbo loans is to have a strong credit rating because a spotless credit history will allow you to obtain loan approval at the best possible rate and terms. But a good credit rating is not enough to get Cincinnati jumbo loans. Because of the higher risk involved in case of defaults, mortgage lending companies are a lot stricter in implementing their policies that limit loan approval to those who really qualify for it. Credit scores, Income and Loan to Value will determine the rate for a jumbo loan. Jumbo loans interest rates are also slightly higher as compared to regular loans because of the high risk level involved. 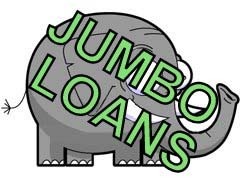 The availability of jumbo loans is becoming popular because of the increasing property rates. 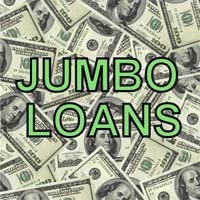 These jumbo loans can be used to finance home purchasing as well as to get cash out of you home for any of your needs. If you are planning to purchase a new home, with a jumbo loan you will need 10% down payment and we offer Fixed and Arm products depending on your needs and we will work with you to find the perfect option for you. Before, twenty percent down payment was only required when purchasing, now just ten with the lender picking up the cost for the PMI (private mortgage insurance). We will work with you so you understand the policies, terms and conditions before signing for any mortgage. Assessing your ability to repay the loan given all these factors will help you find a very suitable type of loan based on your income and ability to pay on time and assess your current financial condition and base it on the amount that you need to borrow. In Cincinnati, finding a mortgage lender that offers jumbo loans may be easy but It is important to shop and compare for all available options to make sure you get the best deal in the market…call Jeff today at 513 346 4070 x10 for not only your best deal but also know that I will take the time to explain all of the options. Many of my clients will opt for the no closing cost option on this type of loan, let’s explore what works best for you!